The venerable Haynes Publishing Company, which has produced literally thousands of workshop manuals over the years for every car imaginable, has come up with a clever offshoot. They are generating Owners Workshop Manuals for very exotic, basically unobtainable cars. In this case, the Porsche 917. Unless you have several million dollars to drop on your next 917 purchase, you are probably just a wanabee 917 owner. That can’t keep us from dreaming, can it? 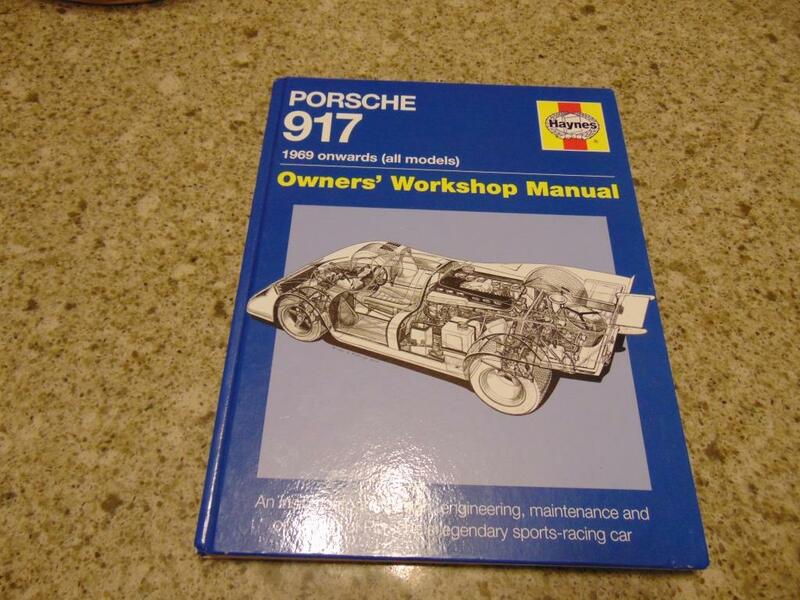 This Haynes Manual has the following chapter headings: The Porsche 917 Story, Anatomy of the Porsche 917, The Drivers View, The Mechanics View, The Owners View, The Can-Am 917s, Individual Chassis Histories, and Epilogue. 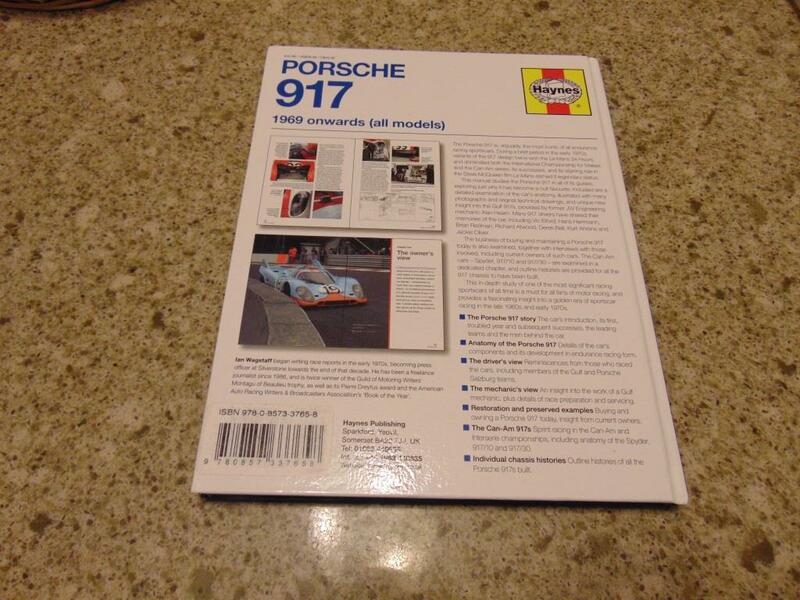 Some of the 917 story is well known but I found in particular the Mechanics View to be a fascinating insight that is rarely discussed in most books. The Drivers View was also very interesting. The book is printed on high quality paper with lots of vintage black and white and color photos. The book is very reasonably priced (currently $26 at Amazon). I would say this is a fun read and well worth the modest purchase price.